Since March 2014, influenza has been associated with the death of thousands of Harbor Seals (Phoca vitulina) in Europe. It is the first influenza epidemic in seals recorded in Europe. The cause of the epidemic is an H10N7 strain of Influenza A, genetically related to influenza viruses known to occur in wild and domestic birds in Europe. This is the first time an H10 influenza virus strain has been found anywhere in seals. 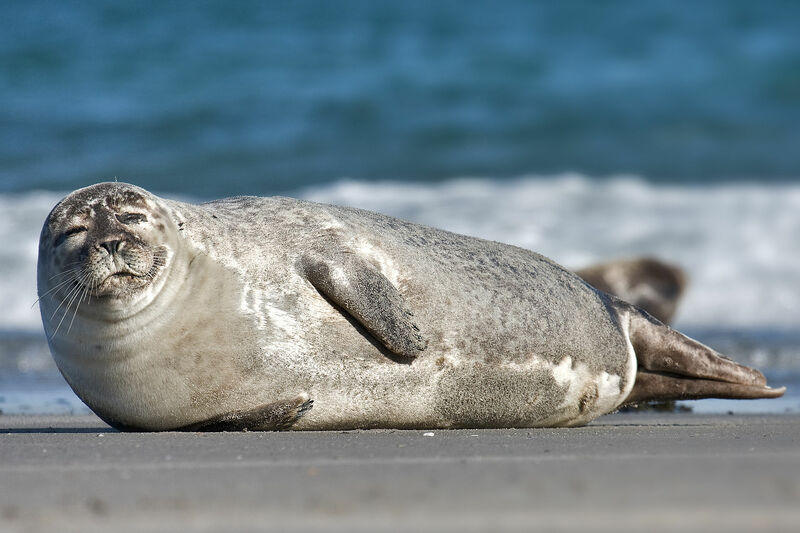 Affected seals have been found from the west coast of Sweden along the North Sea and Waddenzee coasts south to the Netherlands. It is anticipated that this epidemic will kill 10-15% of the Harbor Seal population in the affected region. Harbor seals are present in Canada on both east and west coasts, but there is no known regular contact or migration between Canadian and European populations. The Swedish team investigating this disease outbreak includes Dr Aleksija Neimanis, who served as the staff pathologist for the CWHC Western/Northern regional centre in Saskatoon from 2006 to 2008, and is now a wildlife pathologist with the Swedish national veterinary laboratory in Uppsala. This research team has just published a paper about this outbreak http://www.eurosurveillance.org/ViewArticle.aspx?ArticleId=20967. The capacity of this H10N7 virus in seals to infect or cause disease in other species, including people, is not known. However, this virus appears to have originated in birds and to have adapted to infecting at least one mammalian host species, perhaps increasing its capacity to infect other mammals. This influenza epidemic in seals is taking place while an H5N8 influenza virus strain from Asia is infecting domestic poultry in Germany, the Netherlands, and the UK (more info), and H5N1 continues to kill poultry and people in Egypt and Asia (more info). All this emphasizes how important it is for Canada and other nations to pay close attention to influenza viruses. Very ill looking harbour seal pup seen just now at Murray Corner New Brunswick. What should I do?